This is probably no surprise to see Lush in my favourites, if you follow me on Instagram you might of seen that I may of stocked up on the Sparkler Bath Balistic... It just smells so good! Like Rose Jam Shower Gel in fact, It pains me to say this is limited edition for Halloween. (Lush you better bring this back next year!) As well as smelling fantastic its sparkly! Inside the yellow shell is a sparkly well of sparkles? So definitely pick it up quick before they're all gone! 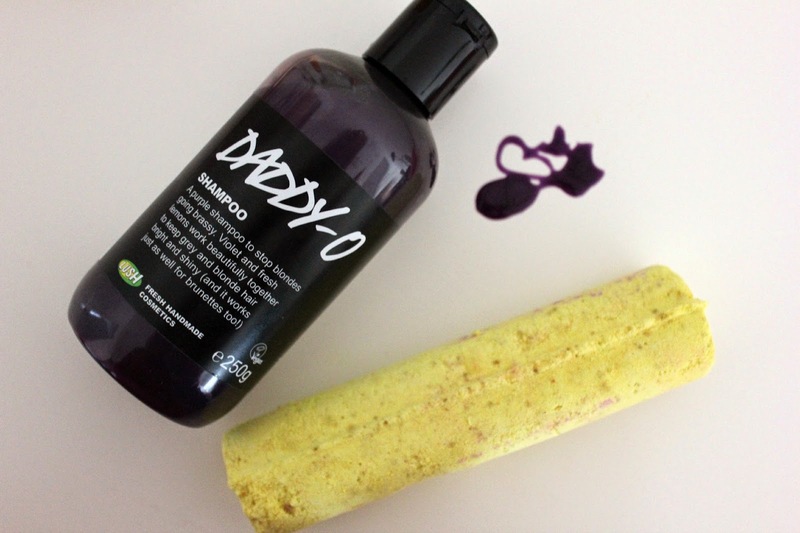 Daddy-O is another Lush favourite this month, I had ombre put into my hair a few months ago and it had started to go brassy. I tried a few purple shampoo's but none of them were lifting the brassiness. My mum always went on about the Daddy-O shampoo and I think I can remember using it when I was little. Ive been using it every other day for about two weeks and its really lightened my ombre! It smells like parma violets too which is always a winner. 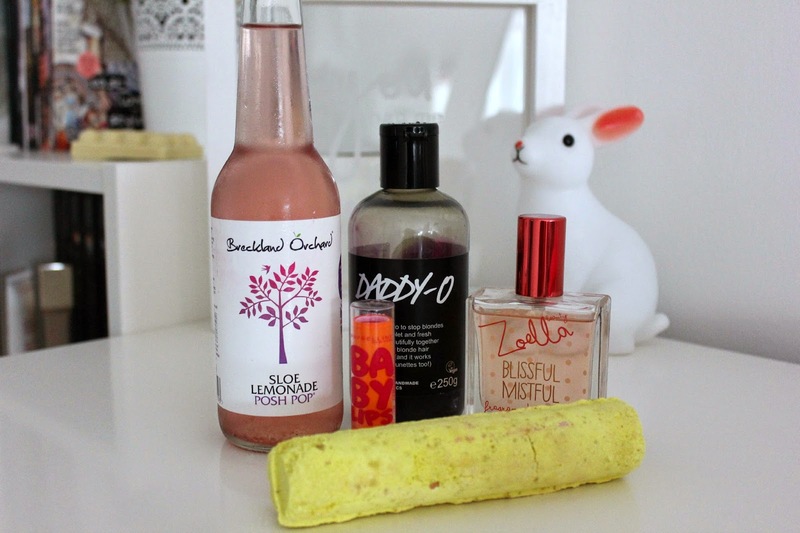 Im obsessed with the Breckland Orchard Posh Pop, specifically the Sloe Lemonade. I first tried this when I went to Summer in the City, in a little cafe in Hammersmith. Then when I saw it in Selfridges back when I was at the Illamasqua Distinction Awards I had to pick up some bottles. Ive been rationing this one so I could photograph it. Created by Claire who founded her very own business, only sold in cafes and food halls though which kind of makes me sad as we don't have a Selfridges in Glasgow! Ive also loved Zoella Blissful Mistful, Im so surprised this isn't all gone the amount Ive been using it, Its been fantastic to just chuck in my bag and take it with me. 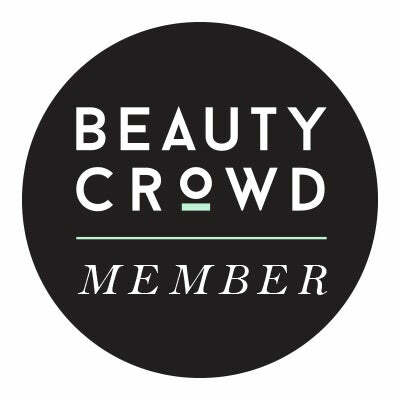 it's perfect for everyday as its so light and I think fresh but a teeny bit sweet. 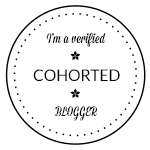 I did a review of it a few months ago so I won't go on, you can find it HERE. Maybelline Baby Lips in Cherry has become probably one of the only things I've worn on my lips this month. Usually I have lipsticks and lip glosses come out of my ears, but this month because I've been so busy I just wanted something quick. It's not my favourite scent but its got such a nice colour pay off and suits this time of year perfectly. Maybelline have a much better description of the baby lips than I can ever explain, which is here*. I love the look of both of those from Lush definitely have to go down to get them if they're only out for Halloween! Im so sad sparkler is disappearing, definitely recommend it! Daddy O is permanent though luckily! Desperate to try the Daddy O shampoo!! You've got some great picks there. Thank you! You should try it, I love it so much now its become rather obsessive, I may end up with purple hair at this rate!! I might protest that they need to be made permanent, not sure how good I'll be at rationing my stash of sparklers! Thank you, I just couldn't resist getting it, it was too cute! The lemonade drink looks really nice and refreshing, hopefully I will find some near me. 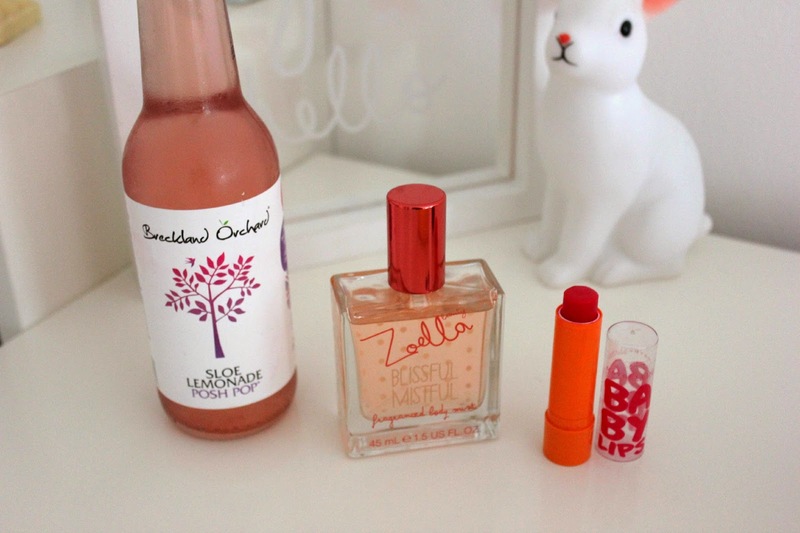 I love Zoella's range, I mentioned the candle in my favorites! Also I find the cherry baby lips a life saver, and it's nice to add a little bit of colour to your lips whilst moisturizing them.